This year manufacturers offered us new ways to interact with our handsets, with the introduction features like the Bixby button and the squeezable sides of the HTC U11 and Google Pixel 2. While Google’s squeeze feature and Samsung’s Bixby button are locked only to opening a virtual assistant, HTC’s Edge Sense and the BlackBerry KEYone’s Convenience Key offer consumers a customizable experience — something other OEMs should emulate. These dedicated buttons force a major feature, which we might not even want to use, onto a physical attribute of the phone. Believe it or not, plenty of people have no interest in using Google Assistant or Bixby. The ability to remap the button solves this problem, and it might even eek out a few purchases from those otherwise put off. But OEMs are reluctant to do so because it undermines their product message. While smart assistants might not be universally popular, being able to remap these buttons to our needs seems to be in quite high demand. In one of our recent Twitter polls, a whopping 79 percent of you said that you’d like manufacturers to include a remappable side button on their handsets. It appears that the majority of you are big fans of customization and shortcuts. Should manufacturers add a remappable button on the side of their devices? You're not alone if you've disabled the Bixby button or HTC's Edge Sense. Many Galaxy S8 and Note 8 owners are all too familiar with the problems that arise when manufacturers lock down features. 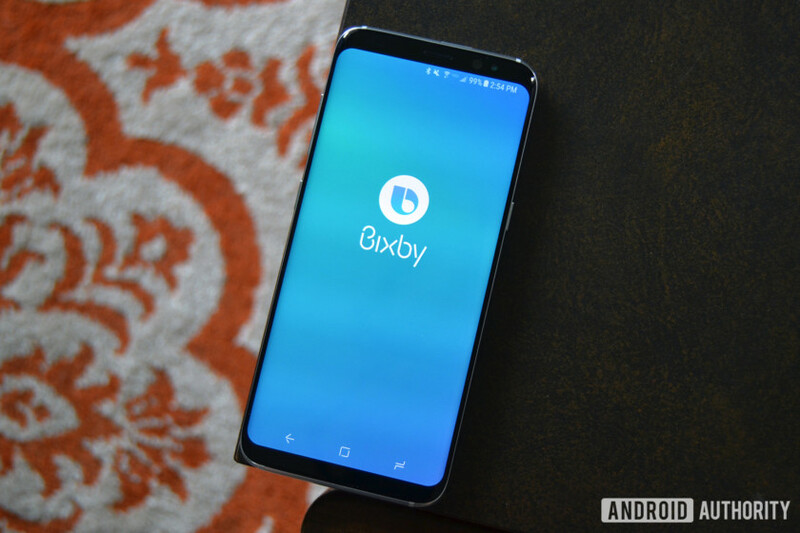 They were left to suffer with incomplete software (at least in English speaking markets) until Samsung eventually allowed customers to disable the Bixby button from opening the Bixby Home app. It would be equally handy if Pixel 2 and Pixel 2 XL owners could remap the squeeze function on their handsets too, rather than being limited to simply summoning Google Assistant. Opening up your favorite messaging app might be much more useful for most people, for example. It’s possible to remap the Bixby button and squeeze functions with some app hackery, but what we need is proper support for remapping provided by the manufacturer. They need to give users a say in what the button does, without relying on sometimes-unreliable third-party workarounds. Outside of BlackBerry, OnePlus is the only OEM closest to offering consumers this level of button customization. It’s not surprising OEMs are using these features to push their virtual assistants. There’s a lot of money in the information you’ll pass through them. However, many consumers would probably prefer to be able to set a camera launch, shutter button, an instant selfie snapper, quickly launch their favor app, or hop into a conversation with their last contact. There’s plenty of potential to explore here. Short press, long press, and hold could all be used for unique functions. If OEMs were to embed this level of configuration right into their Android build, they could go further and introduce contextual functions for the keys depending on the application you’re in. Funnily enough, that’s probably Bixby’s most promising capability. Implementing these features wouldn’t even necessarily require OEMs to add another button onto their devices. Most smartphones either come with a fingerprint scanner or a dedicated home button (sometimes more) which could be remapped. I’ve always thought fingerprint gestures were pretty neat and I’ve been a longtime user of Nova Launcher’s Swipe Gestures to launch my favorite applications quickly. If OEMs started offering this type of customization out of the box with both complementary software and hardware, they might win favor with quite a few customers. Arguably, the worst thing about these fixed dedicated buttons is that they force a major feature that we might not want to ever use right onto a physical attribute of the phone. If there’s any lingering doubt about the appeal of customizable hardware, cast your mind back to Pressy, the Kickstarter-funded customizable button that could slot into your headphone jack. It didn’t catch on due to some mismanagement and the ultimately poor compromise of sacrificing your headphone jack. Even so, more than $695,000 was pledged to this zany idea, which enabled just a single extra hardware key on a smartphone. It wasn’t the last idea of its kind either. Dimple updated the idea using NFC the following year. Unfortunately these third-party ideas can only take us so far. Built-in hardware is just nicer to use and look at, and OEMs can open up a lot more functionality by supporting customizable hardware and software at the OS level. The BlackBerry KEYone and HTC U11 probably had it right all along. Other manufacturers should take note of the appetite for remappable hardware keys.